206 pages | 21 B/W Illus. Does poverty lead to environmental degradation? Do degraded environments and natural resources lead to poverty? Or, are there other forces at play? Is the relationship between poverty and the environment really as straightforward as the vicious circle portrayal of ‘poverty leading to environmental destruction leading to more poverty’ would suggest? Does it matter if the relationship is portrayed in this way? This book suggests that it does matter. 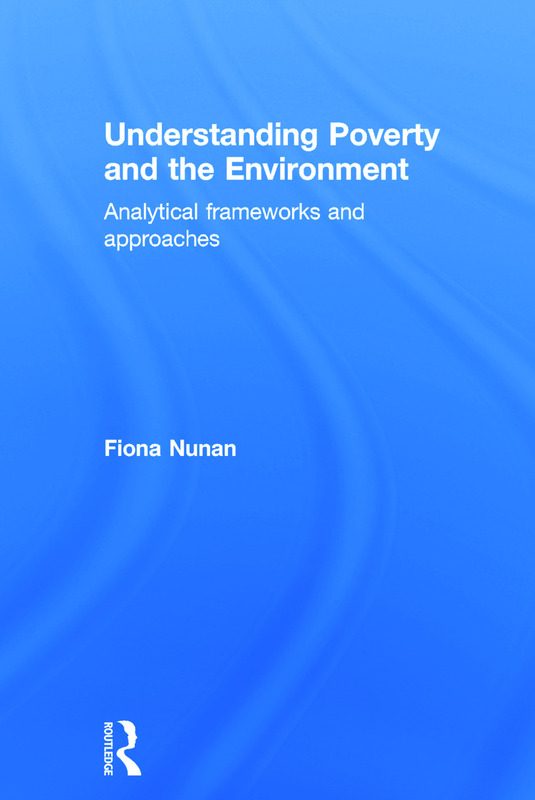 Arguing that such a portrayal is unhelpful and misleading, the book brings together a diverse range of analytical frameworks and approaches that can enable a much deeper investigation of the context and nature of poverty-environment relationships. Analytical frameworks and approaches examined in the book include political ecology, a gendered lens, Critical Institutionalism, the Environmental Entitlements framework, the Institutional Analysis and Development approach, the Sustainable Livelihoods Framework, wellbeing analysis, social network analysis and frameworks for the analysis of the governance of natural resources. Recommended further reading draws on published material from the last thirty years as well as key contemporary publications, giving readers a steer towards essential texts and authors within each subject area. Key themes running through the analytical frameworks and approaches are identified and examined, including power, access, institutions and scale.